As evidenced by the theme song, this was originally taped during season one, but was held for this past weekend to fit the theme. 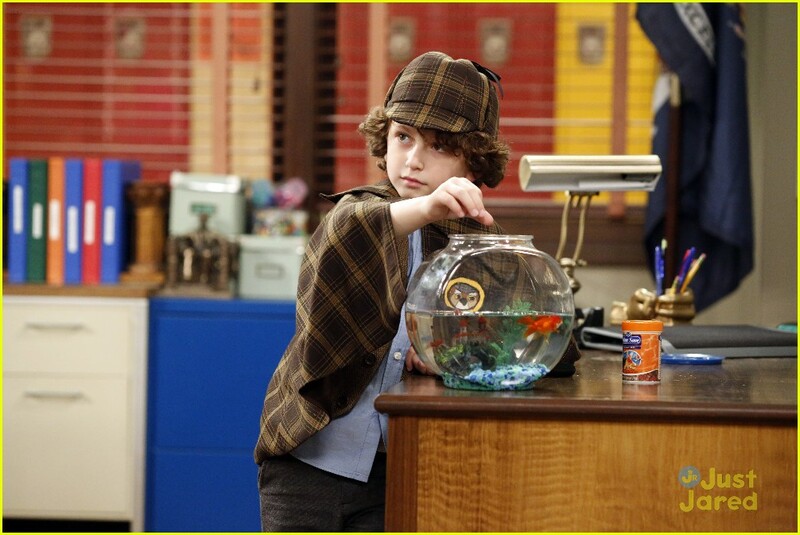 Anyway, it's Riley's turn to watch the class fish... but as soon as it's passed from Farkle to her, it dies. And Auggie wants to know... "Whoo-dunit!" After interrogating the whole class, they reach a few surprising discoveries... want to know what they were? You know what to do... that's right, watch it! If you've seen it already, let me know your thoughts below. I guess I should let you know my thoughts (spoiler-free), huh? Well, I really thought it was cute that Auggie and Ava were the detectives. And the explanations that come out are really funny... sad, but funny. You'll giggle, I've no doubt! Oh, and I learned something too... if I said what, though, it'd ruin the fun! Can't have that... ;) Anyway friends, thanks for tuning in! I'll see ya next time, though it'll be awhile til the next episode.